A growing number of people have started to dress up their dogs on Instagram in adorable clothing and the trend is catching on. The more pets integrate themselves into our households around the world, the more they begin to take on a human role and the more people who feel the urge to dress them up. That’s not a bad thing. Depending on the age and breed of your pet, there is absolutely nothing wrong with wanting to dress them up and have some fun. But you do need to take some precautions to make sure you’re treating them safely and with respect. 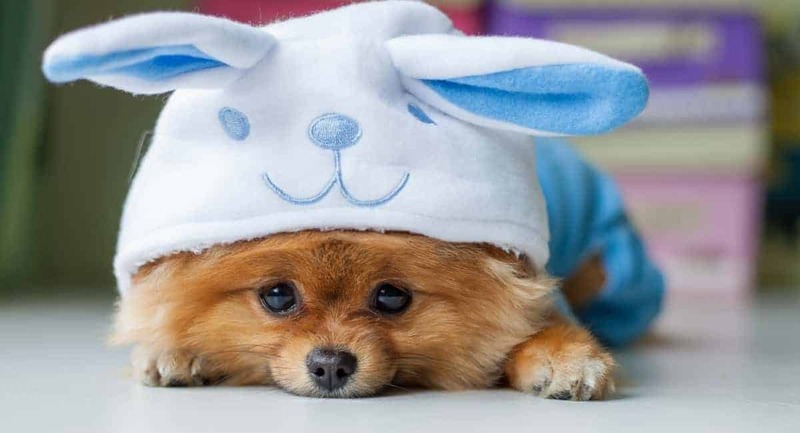 Read on to learn more about pet dressup and how to make the experience a happy and healthy one for your pooch. While there isn’t much cuter than a pooch in a tutu, it’s important to remember that your pet will need to be able to maneuver in whatever you dress them in. It’s important that you find the clothing that fits well and isn’t too bulky. It’s also important to choose the right size clothing because you don’t want your pet to slip out of the outfit or chew on it and rip it up. For more help, check out this guide to sizing. Just like a person, your pet has its own personality and preferences. That means that you need to be careful to ease them into the idea of playing dress-up slowly. Don’t try to shove your pet that isn’t used to clothing into a Halloween costume instantaneously. Give them time to get used to the idea by introducing them to the clothing at least a week in advance. Start by letting them smell the outfit so that they can become comfortable with it. Then once they react positively to it, you can lay the apparel on your pet’s back so that it feels the weight of the fabric without being trapped by it. Over a period of a couple days, you can continue to ease your pet into the clothing and encourage it to be compliant by rewarding them with treats. Your pet may act like a human sometimes, but pets like to move and sniff around their surroundings and tend to get into messes. Make sure you buy an outfit that is designed with them in mind. Your pet should be able to sit and walk in their outfit and the clothing shouldn’t be tight enough to leave a dent in their fur or make them feel cocooned. You should also try to find clothing that doesn’t contain a lot of chemicals since your pet may end up chewing on the fabric. Although your dog can’t talk, you know when they are feeling upset or uncomfortable. Make sure you’re around to observe your pet’s body language the first time you dress them up. If they show signs of discomfort like a lowered head, flattening of the ears, or rounding of the eyes, then they may be distressed. If that’s the case with your pet, then you should take the outfit off of them and start the acclimation process again. If your pet still doesn’t respond, know that some dogs just aren’t going to enjoy wearing clothing no matter how hard you try. If you keep trying to dress your dog up and they reject the outfit each time, honor their request. If your pet has super thick fur and you live in a warm climate, then you really shouldn’t put clothing on it at all. Dogs are designed with the fur they need to keep warm in average climates. You should also consider your pet’s age when you purchase clothing. If you have an older dog that has never worn clothing before, then it may be very uncomfortable in it. Finally, you should consider your pet’s activity level before you go out and buy it a bunch of outfits. If your dog is super active, then the clothing is sure to become a mess and a hassle a lot more quickly than if your dog just likes to lay around all day. Buttons and zippers may look really cute on pets, but they can be really dangerous. If your pet gets a button or zipper off and swallows it, then you can face an expensive trip to the veterinary hospital. Make the right decision for your pooch and purchase an outfit that only uses flaps or velcro to secure in place. No matter how long your pet has been wearing clothing, animals are always unpredictable and can get into trouble. When you dress your pet, make sure you keep an eye on them at all times so that you can see if they are overheating or uncomfortable. And if they’re good in their outfit, make sure you give them a treat. The pet dressup tips in this article can help you get your pooch in a new outfit for the first time. Once they’re looking fabulous, it’s time for you to have your turn. We have a ton of tips and tricks to help you look your best no matter what the occasion is. For more fashion advice, check out these blog posts today.